The historic Our Lady of Mt. 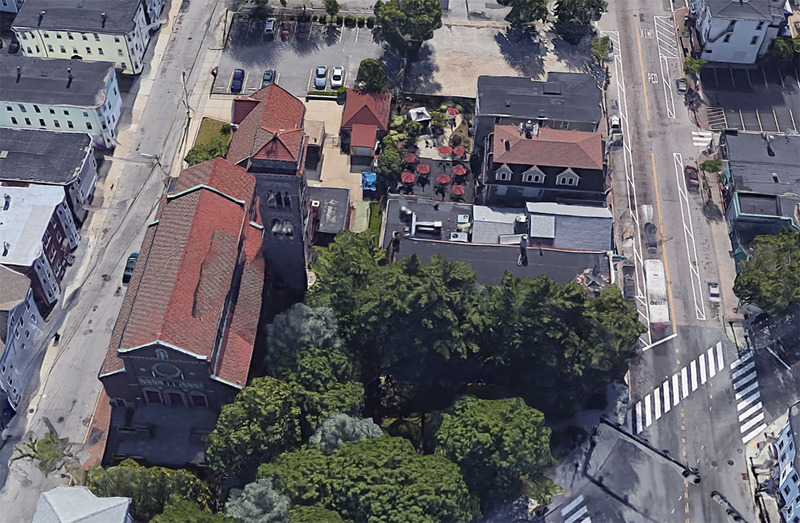 Carmel Church and four surrounding lots may be redeveloped into a mixed-use residential project, according to plans submitted to the city of Providence. Providence-based The Omni Group plans to purchase the property, including the church and attached rectory, for a large mixed-use development. Its CEO and president, speaking to the Providence City Plan Commission Aug. 21, assured that the Italian Renaissance style church will be made part of the redevelopment. The rectory, which is attached to the church, would be razed, he told the commission. At least two of the larger lots would feature new construction. The site under consideration is bound by Atwells Avenue and Spruce, Dean and Bond streets, and covers 40,000 square feet. It is zoned R-4. The developer is seeking a rezoning to allow the mixed-use development, which will require City Council approval. The Omni Group has a lot of well maintained buildings on Federal Hill (the area I like to call, Back of the Hill between Atwells and Route 6). They also really like parking… but as I’ve said before, if they can help densify the neighborhood, some of that parking will someday be something else. They also do a good job maintaining Garibaldi Park next to the Federal Hill Arch. This seems like a win for the neighborhood saving the church. The park out front of the church is really worn down since the church closed and I imagine The Omni Group being good stewards of that. The rub on this will be what the new construction looks like and how much parking they’ll want (and what that parking will look like). I hope the parking lots along Bond Street get new buildings on them, at least on the corner fronting Atwells. Hopefully, not stubby short structures.